Marsh Chamberlain, Director/Producer/ Cinematographer/Editor, is a film and television professional based in New York City. Marsh has worked on a variety of projects with a diverse group of clients including Ken Burns, ESPN, Toyota, The Human Brain Project, Maniilaq Association, and Vision Maker Media. As a filmmaker he has directed, shot, produced, and edited a number of short documentaries, music videos, and other media. The short film, Camp Pigaaq, was broadcast on Alaska Public Television, receiving critical acclaim across the state. He is the owner and founder of the production company, Crawl Walk Run. We Breathe Again is his first feature-length documentary film. Evon Peter, Producer/Cultural Advisor, is Gwich’in and Koyukon from Arctic Village, Alaska, where he served three years as tribal chief. Evon was appointed Vice Chancellor for Rural, Community and Native Education at the University of Alaska Fairbanks in July 2014. He is a board member to the Gwich’in Council International, where he represents Gwich’in nation interests in the Arctic Council forum. His local work has focused on implementing behavioral health, leadership and workforce development projects. Evon was featured in the 2005 award-winning documentary Homeland: Four Portraits of Native Action and has produced several short Alaskan documentaries. He resides in Fairbanks with his wife and four children. Enei Begaye Peter, Producer, is of the Diné (Navajo) and Tohono O’odham Nations. She is an experienced grassroots organizer and an active speaker, strategist, and writer. Among other recognitions, Enei was named one of Utne Reader's "50 Visionaries Who Are Changing Your World." Enei has worked in service to Indigenous communities through non-profit organizations for many years. 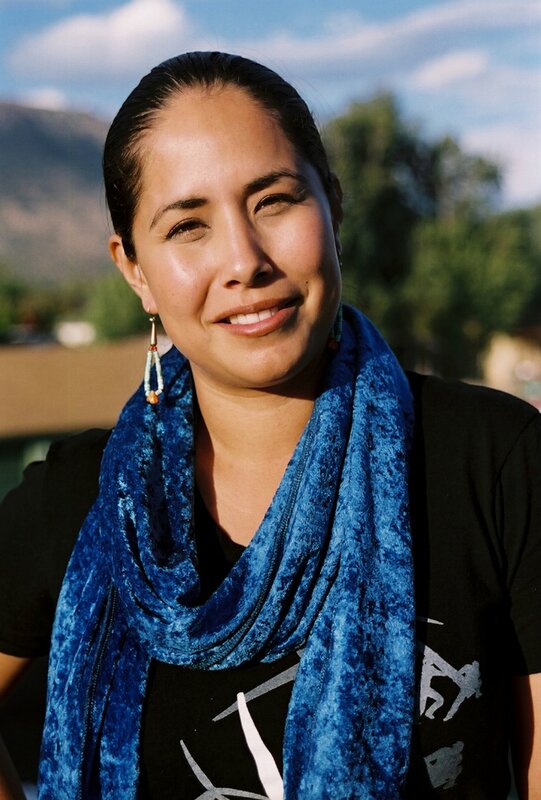 She is a co-founder of non-profit organization Native Movement and served as a long-time co-director of the Black Mesa Water Coalition. Enei grew up on the Navajo reservation in Northeastern Arizona; she is Stanford University-educated and currently lives in Fairbanks, Alaska. is a New York City based filmmaker, writer, and audio producer. He has worked for Sync Sound/Digital Cinema on projects ranging from NBC's “30-Rock” to HBO's “The Alzheimer's Project,” and has collaborations with Murray Street Productions and That Studio. Ryan also produces and co-hosts “Not Just a Movie,” a film and TV podcast, and is a partner at the production company, Crawl Walk Run. Vivien Hillgrove, Editor, has more than 44 years of experience as an award-winning editor for both feature films and documentaries. Her documentary credits include seven films by Lourdes Portillo including La Ofrenda: The Days of the Dead, The Devil Never Sleeps, and Senorita Extraviada, which won a special jury prize at Sundance and the 2002 International Documentary Award. Her other editing credits include First Person Plural and In the Matter of Cha Jung Hee by Deann Borshay-Leim for POV and Independent Lens. Also for Independent Lens, she edited Heart of the Sea (Independent Lens Audience Award). Additionally, she edited the award-winning documentary Homeland: Four Portraits of Native Action, The Future of Food, and Symphony of the Soil, activist and educational films respectively. Maya Salganek, Associate Producer, is the founding Director of the Film Program at the University of Alaska Fairbanks and has served as faculty in the Theatre/Film Department since 2007. She has worked as a producer for UAF partnered feature length films (Chronic Town, 2007; Dear Lemon Lima, 2008; AlaskaLand, 2011; Mining for Ruby, 2013) As Director of Photography for The Messenger, 2012 and as director/producer/editor for documentary and educational films (Honoring the Gift, 2007; Field Techniques for Sea Ice Research, 2009; RAHI 30th Anniversary, 2012). She was awarded as one of the “Top Forty Under 40” by the Alaska Journal of Commerce in 2014. Paola Prestini, Music Composer, has been named one of Musical America’s “Top 30 Musical Innovators 2016″ and one of the “Top 100 Composers in the World under 40” (NPR), Prestini’s music has been commissioned by and been performed at Carnegie Hall, the Kennedy Center, BAM, and the Barbican Centre, among others. She is the Creative and Executive Director of National Sawdust, a nonprofit Brooklyn-based space for arts incubation and performance, and the “visionary-in-chief” (Time Out New York) of VisionIntoArt, the multimedia production company she co-founded in 1999.